One of the challenging reactions that attracted the attention of various research groups is the production of hydrogen gas from water which can be used further as clean fuel. In an effort to move towards a hydrogen fuelled future which will support the energy demands of human activities with minimum or zero environmental impact, it is of fundamental importance that the production of hydrogen can be achieved in an economic and efficient way. The main driving force behind this work is that many research efforts are focused on the discovery of new catalytic systems aiming to tackle challenging problems, yet little thought is given to the actual strategy and development of new modular systems and most importantly to the deeper understanding of the underlying system-specific processes. Indeed, improving the properties and performance of various polymeric materials (e.g. 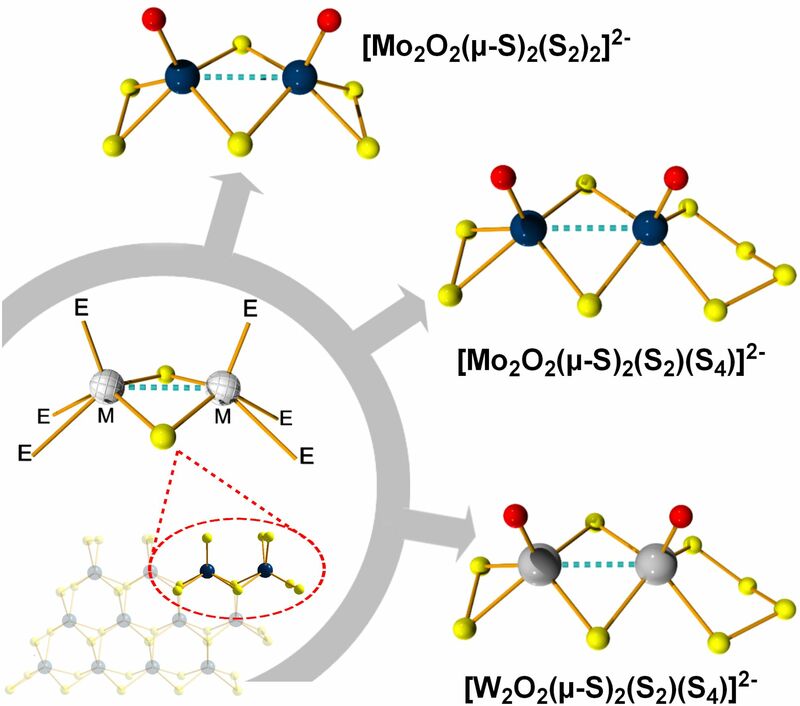 metal oxides and 2D metal chalcogenides) has directed the efforts of many researchers and have made significant improvements of their chemical and physical properties. Yet exploring the potential of molecular materials and how can we take advantage of fine tuning of their behaviour is not very common. This is mainly due to practical issues related to their stability and/or scalability. In this regard chalcoxides are inorganic molecular units formed by metal centres which linked by chalcogen atoms. The question we try to address here: can we use a robust molecular species and dope it with other elements from the group of chalcogens? Will this improve the properties of the catalyst? Does the doping influence the stability of intermediate catalytic species or alter the mechanistic pathways and the interaction between the active sites and the substrate? Here, we present an approach showing high efficiency and stability of molecular catalysts and our effort to tune these molecular species for the hydrogen evolution reaction. More specifically, we explore the fine tuning of molecular catalysts by controlling the stoichiometry and type of earth abundant elements; such as the chalcogen or metal and explore critical aspects of the hydrogen evolution reaction. Electrochemical and other analytical methods show that the employed stoichiometric and structural control leads to energetically efficient evolution of hydrogen, while the molecules responsible for this process remain intact during the course of the investigation. Crucially, theoretical calculations reveal the effect of the electronic and structural features and provide important information of the mechanism that potentially takes place in this case. Our work is part of a worldwide effort towards a hydrogen-based economy. We anticipate these findings to be a starting point for further exploration of molecular catalytic systems and inspire others in an effort to tackle challenging scientific issues. I’m very grateful to my collaborators from the University of Glasgow James McAllister, Jessica McGlynn and Alexey Ganin, from the ICIQ (Institute of Chemical Research in Catalonia) and University of Lisbon (Portugal), Carles Bo and Nuno Bandeira as well as Yu-Fei Song from the University of Beijing who have supported this project over the last years. Finally, I would like thank Dr Mark Symes for the fruitful discussions and the University of Glasgow for the support. For more details, please see our paper: “Tuning and Mechanistic Insights of Metal Chalcogenide Molecular Catalysts for the Hydrogen-Evolution Reaction” published in Nature Communications. 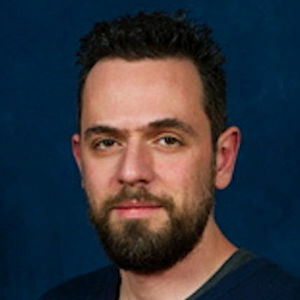 My research interests are primarily focused on the discovery of simple preparation routes to supramolecular metal oxide/chalcogenide clusters and composite functional materials, understanding of the fundamental processes in the self-assembly of supramolecular species, their electronic structure, redox and electrocatalytic activity.